darkSpyro - Spyro and Skylanders Forum - Skylanders Toys and Merchandise - New Frito-Lay Promo! 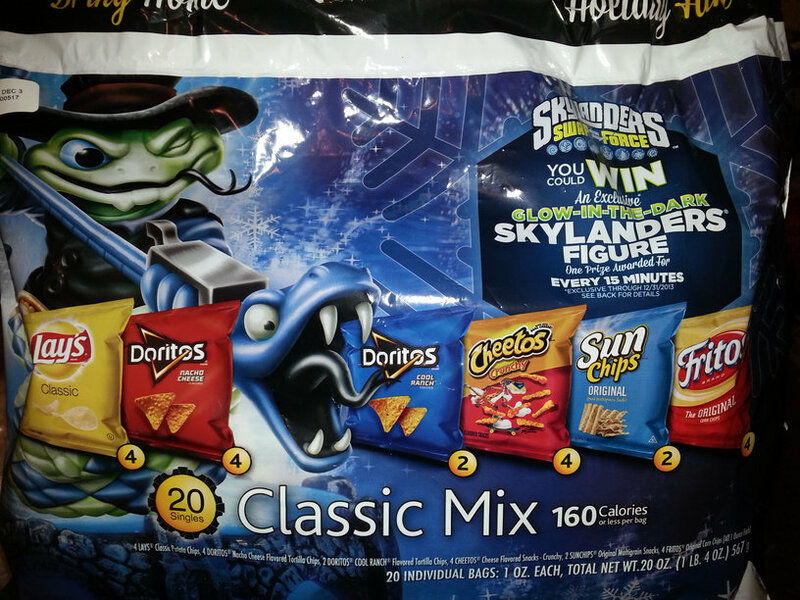 darkSpyro - Spyro and Skylanders Forum > Skylanders Toys and Merchandise > New Frito-Lay Promo! Yeah, I bought 4 bags this morning. Posted it in one of the other threads. Have you tried redeeming the code yet? Also, is it like the P-FR one where you enter the code, or do you have to pay S&H? The promo has not started yet. Website is not even up yet. If I were to guess, it is like the Halloween FR promo. One thing I do not like is the code is on the OUTSIDE of the bag. Upper left hand corner of the front. Back the truck up. It's on the OUTSIDE OF THE BAG?!?!?!?!?!? ARE THEY STUPID OR WHAT. EDIT: In fact you can see it in the picture you posted! 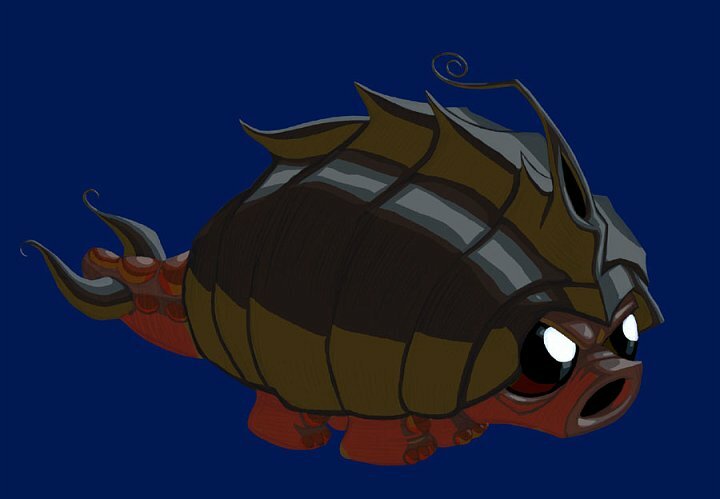 For those who don't know; Meet Quickdraw Rattle Shake. Available for trade: NIB Walmart Exclusive Drill Sergeant (Not Red), NIB Granite Crusher. PM if interested. Hopefully I can find the bags for this one. "im just buying extras to TRADE or GIVE my friends"
www.fritolayholiday.com website is down right now (10/13/2013). I wonder if they had to shut it down because they put the codes on the outside of the package. I bought a package and was trying to get to the website to redeem the code. Huh. Are you also in New York? If anyone finds these bags could you please post city and state? Thanx in advance! OK. I read the game rules and it states on the frito lay package game begins 11/3/13 and ends 12/31/13. Still. Why would they put these codes on the outside of the package?????????? i still need to find pumpkin.....where are the pumpkin bags already!! Don't check Walmart. They're not there at all. Any sightings for either bag in the NYC area? If you like toys to life, you might be interested in Lightseekers! so its a In Game Glow in the dark variant? Pretty cool! Gotta find a bag some time!!!! sorry for the 2 posts but from the 3DS version, all in game variant skylanders are in the collection menu, and are needed for 100% completion. looks like he can be gotten else ware later. Can anyone indicate what chain(s) you're finding these in? Kroger, Meijer, Walmart, etc? Please see my guestbook for the remaining packs I need---Any help is appreciated. Well, there ya go. Can you or anyone with 3DS confirm everything we know about in game variants so we can "call it done"? RIP GhostRoaster. He's reanimated as TakeYourLemons but occasionally is resurrected from the beyond when needed. I never even saw the Fright Rider bags of chips...now those are replaced already by this one? (which is a way better one but still) So people are finding these new bags already? If So then I better make a stop at wal mart later. They shouldn't start being replaced until October 25th (usually around the end of the months, I'm guessing as it's a reasonable date) so that they have a chance to get shipped out for the beginning of the Promo. oh... delicious i still haven't found flocked stumpy or pumpkin fright NOW THIS??? well, is it easy? the code must not be activated until the register scans it. ^ register and POS sale systems don't work like this. Individual codes can't be tied to a single standard Bar Code SKU. I doubt they would develop a dual sku system for this promotion, thats not reasonable. So you could buy one of these packs and someone could have already come in the store and wrote the code down and submitted the code before you even bought the bag. This does not seem right. What is going to happen when someone is in the chip isle with their smart phone and puts in every code right there through the website. This is why I will be entering the code before I buy the bag. If the code is a winner, I will purchase that bag. If not, I will move on to the next one. One of my readers sent me pics of all the variants she found in the 3DS version. She didn't find any new ones just the ones we already knew about. Was there a phone number for the Fright Rider contest? I want to call Frito-Lay to find out why all my bags have the same code, but I cannot find a number. If you have questions, please call 1-877-286-4806 between 7am and 7pm CT.
OK, just talked to Frito-Lay, and here's the deal: it's OK that all the codes are the same. The computer should take them. They were also surprised that these bags were out as they should not be out for a few more weeks yet. Are we sure that is indeed the code then? And not just some sort of code for the chip bags themselves. If that's the case, then we can just enter that in every few minutes until we win. There has to be a card in that bag or a code printed on the inside. No, there is nothing inside. Frito-Lay confirmed that the code I found was the correct place for it. So if the codes are all the same we can all use the same code? That is ridiculous. So what is the code? If they are all the same I guess we can all play until we win if its the same code. Is there a restriction on how many times you can enter? Yes, we all WILL use the same code unless they change them up. I was not told if there was a limit to how many times you can enter. Yes, please post the code for all of us to share then. This doesn't make sense. How can this work? MAybe you can enter the code once a day for a chance to win...idk this sounds very odd. A universal code for everyone? Omg this is amazing! If the code is universal, please share. eBayers will easily be able to obtain them.. They use this site as a through-way to cheap auctions and in-stock notices. So this wouldn't be good. That 5,000 would quickly disappear. The Stump Smash promo was public and ended up on several deal sites including Slickdeals. That didn't stop people from getting it. The bottomline is that this code is printed on the outside of the bag then they're going to get it one way or another.